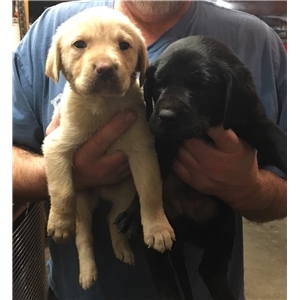 AKC Labs born 10/12/18. Litter has both black and yellow females and males. EIC clear, pups will go home with written health, hip and eye guarantee. Pedigree is full of junior/master/senior hunters and field champs. 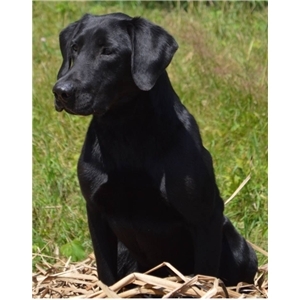 Excellent hunt/family dogs, pups will be well socialized. Sire is 70 pounds (pic in the grass), dam is 60 pounds (pic on the steps). Dam is onsite. 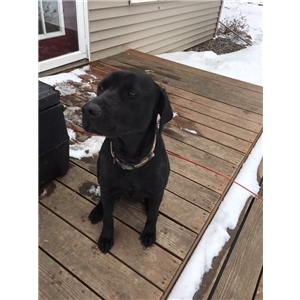 Dam will hunt all day and fits in with the family remainder of the time. Pups will be ready for new homes December 7 and will have first set of shots and be wormed three times and dews are removed.